for your company or a specific brand? Easily collect data from your visitors, scan them in and set up interactive experiences. Cloud power: Start now without any setup cost. Because Oveit runs in the cloud you can start setting up events, register attendees and send registration email in minutes. As in minutes starting now. There is no complicated signup process, no paperwork to fill and we are here to help you if you get stuck.. You start now, without any costs, and start paying for events larger than 2000 people or when you need our help. Power up with next gen event management. 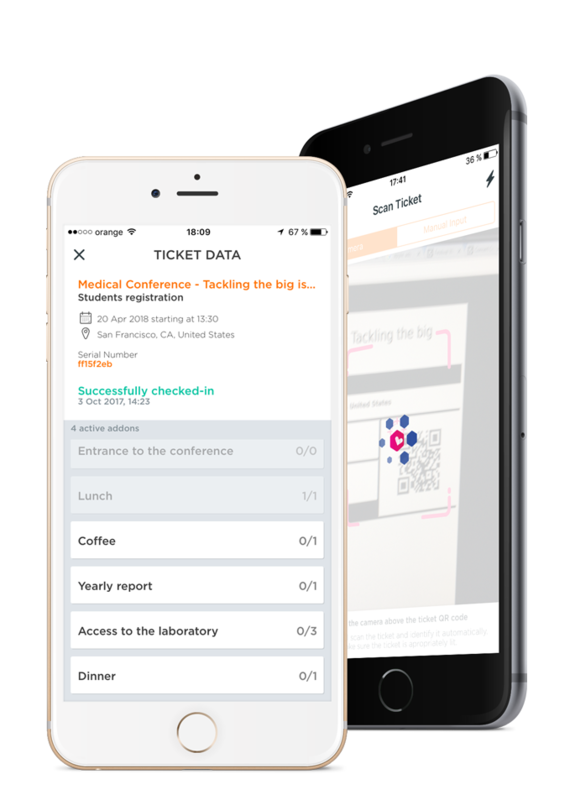 Mobile apps for ticket scanning, available on iOS and Android. Collect data using registration forms. We know your corporate event is data intensive. That's why we made the form feature extremely to use. You can build an attendee database using this feature, without any complex IT process setup. You are ready to go in minutes. Afterwards you can see detailed attendee data, search for specific attendees, download data or access it using our API. 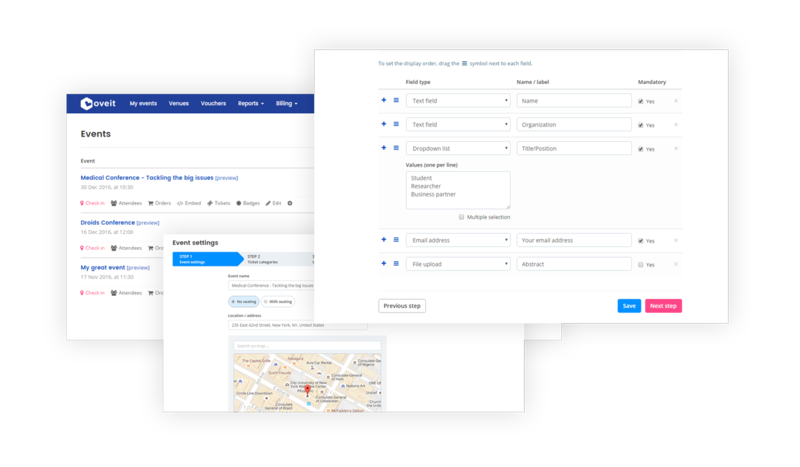 Using our tools you can customize follow up emails, badge design using a graphic editor, seating maps, ticketing options and even fonts, colors and overall look and feel of the embedded widget. We know that building an amazing brand event and really standing out is a team effort. With Oveit you can invite your team and work together on building your amazing project. Setup credentials and responsibilities, invite team members and see how everything growing.